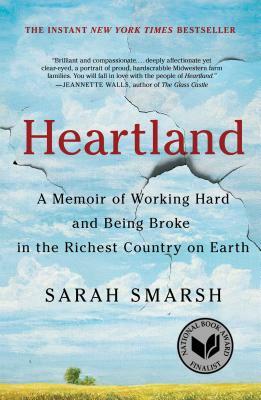 An eye-opening memoir of working-class poverty in the American Midwest, Heartland has already been longlisted for the National Book Award for Nonfiction and named one of Kirkus Reviews 12 Most Ancitipated Fall Reads. During Sarah Smarsh’s turbulent childhood in Kansas in the 1980s and 1990s, the forces of cyclical poverty and the country’s changing economic policies solidified her family’s place among the working poor. By telling the story of her life and the lives of the people she loves in this, her first book, Smarsh challenges us to look more closely at the class divide in our country and examine the myths about people thought to be less because they earn less. Her personal history affirms the corrosive impact intergenerational poverty can have on individuals, families, and communities, and she explores this idea as lived experience, metaphor, and level of consciousness. Sarah will be in the store TOMORROW, September 19, at 7PM to speak and sign books. 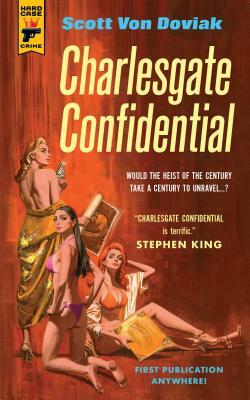 A breathtakingly clever, twist-filled narrative about a robbery at a Bostom art museum that moves from 1946 to 1988 to 2014 and back again, Charlesgate Confidential establishes Scott Von Doviak as a storyteller of the first order. This is also the Statesman Select pick for September. Scott will be joined by author Edwin Hill, author of Little Comfort, on Saturday, September 22 at 6PM for conversation about their thrilling new books. Sara Gran is the author of several novels, including two previous novels featuring Claire DeWitt. The hard-living and tough-talking private investigator has always been something of a detective. As a young girl growing up in Brooklyn, Claire and her two best friends, Tracy and Kelly, fell under the spell of the book Detection by legendary French detective Jacques Silette. The three solved many cases together and were inseparable—until the day Tracy vanished without a trace. That is still the only case Claire ever failed to solve. Sara will be here to speak and sign copies of her thrilling new noir mystery on Tuesday, September 25 at 7PM. 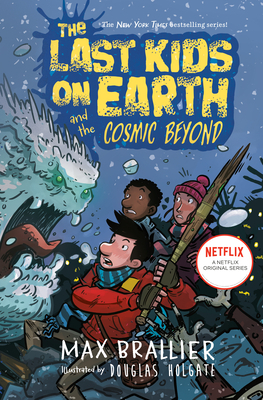 The newest installment in this New York Times bestselling The Last Kids on Earth series! It’s the first winter after the Monster Apocalypse. For Jack and his buddies, that means sled catapults, epic snowball battles, and one monstrous Christmas celebration. But their winter wonderland turns dark when a villainess begins hunting them. And this villainess is different—she’s a human. Get your copy now and join Max in the store on Wednesday, September 26 at 6:30PM to hear him speak and sign copies of his newest adventure! From bestselling author of A Discovery of Witches, a novel about what it takes to become a vampire. 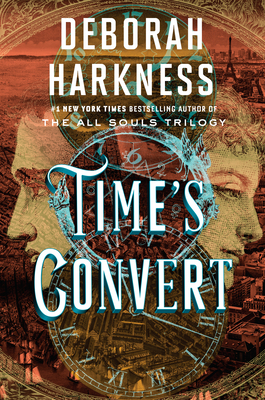 A passionate love story and a fascinating exploration of the power of tradition and the possibilities not just for change but for revolution, Time’s Convert channels the supernatural world-building and slow-burning romance that made the All Souls Trilogy instant bestsellers to illuminate a new and vital moment in history, and a love affair that will bridge centuries. 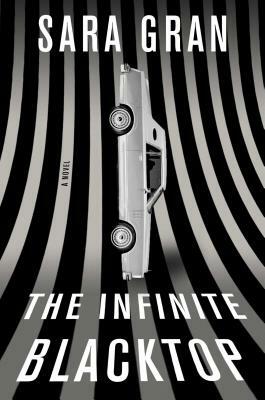 Deborah joins us on Tuesday, October 16 at 7PM to speak and sign copies of this riveting tale. 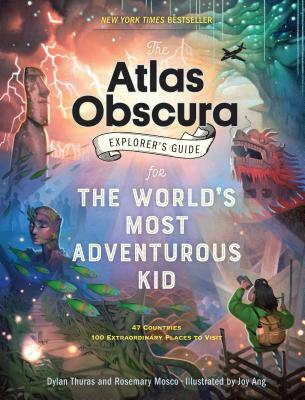 Journey to the world’s most mysterious places with The Atlas Obscura for the World’s Most Adventurous Kid. The team behind the #1 bestselling Atlas Obscura presents a kid’s illustrated guide to 100 of the world’s most mesmerizing and mysterious wonders, both natural and manmade, in 47 countries and on every continent on earth. Travel the world through common points of interest, from sacred skeletons (Trunyan Tree cemetery in Indonesia leads you to India’s Skeleton Lake, for example) to wild waterfalls (while in Zambia visit the Devil’s Swimming Pool—and then move on to Antarctica’s Blood Falls) to ice caves to bioluminescence. Dylan Thuras, cofounder and creative director of Atlas Obscura, will be in the store on Wednesday, October 24 at 6PM to guide us throught he wonderful world of The Atlas Obscura! Rachael R. says “Check, Please! is a delight of a comic book. I’ve read it countless times, and this First Second edition is a beautiful collection of the first half of the series (the second half forthcoming!). 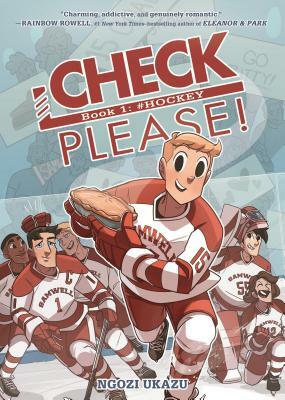 Sure, this comic is about hockey, from practices to playoffs, but it’s also about growing up, learning who you are and what matters most to you. The cast of characters is delightful, especially as they develop alongside our main characters. In particular, Check, Please‘s nuanced discussion of mental illness and its effects of daily life add a depth to the fun and funny story. ‘SWAWESOME!” Ngozu will be at BookPeople on Sunday, September 23 at 2PM to speak and sign copies of her book. Get your copy now and come join us! The #1 New York Times-bestselling author of The Kite Runner, A Thousand Splendid Suns, and And the Mountains Echoed responds to the heartbreak of the current refugee crisis with this deeply moving, beautifully illustrated short work of fiction for people of all ages, all over the world. 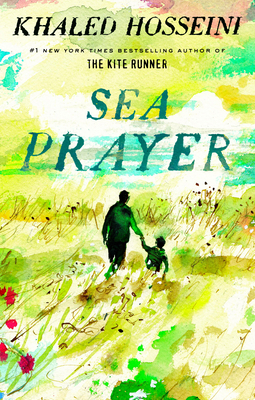 Sea Prayer is composed in the form of a letter, from a father to his son, on the eve of their journey out of war-torn Syria, the only home they’ve ever known. Khaled Hosseini is one of the most widely read writers in the world, with more than fifty-five million copies of his novels sold worldwide in more than seventy countries. Hosseini is also a Goodwill Envoy to the UNHCR, and the founder of The Khaled Hosseini Foundation, a nonprofit that provides humanitarian assistance to the people of Afghanistan, and all of his proceeds from this book will go to the UN Refugee Agency and his foundation to fund lifesaving relief efforts for reugees across the globe. 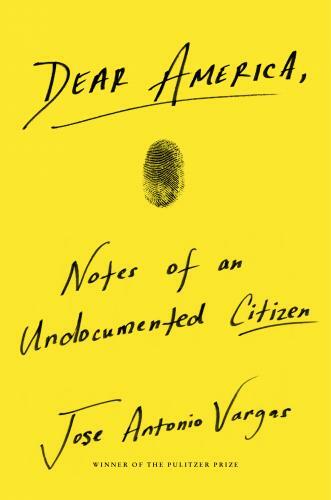 Don’t miss out on this poignant, timely book. On our shelves now. With raw honesty and the fresh, pitch-perfect prose of a natural-born writer, and with all the humility and authenticity her fans have come to expect, Field brings readers behind-the-scenes for the highs and lows of her star-studded early career in Hollywood, as well as deep into the truth of her lifelong relationships—including her complicated love for her own mother. 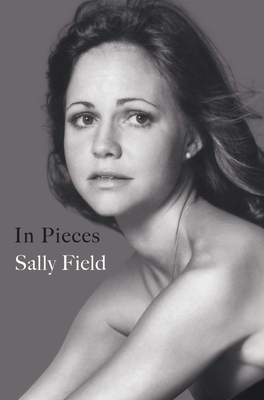 Powerful and unforgettable, In Pieces is an inspiring and important account of life as a woman in the second half of the twentieth century. Academy award–winning actress, producer, and entrepreneur Reese Witherspoon invites you into her world, where she infuses the southern style, parties, and traditions she loves with contemporary flair and charm. Reese Witherspoon’s grandmother Dorothea always said that a combination of beauty and strength made southern women “whiskey in a teacup.” We may be delicate and ornamental on the outside, she said, but inside we’re strong and fiery. Reese’s southern heritage informs her whole life, and she loves sharing the joys of southern living with practically everyone she meets. 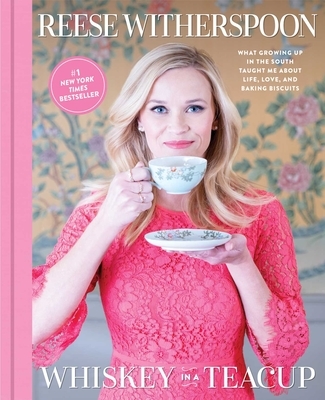 In these pages, Reese loves sharing Dorothea’s most delicious recipes as well as her favorite southern traditions, from midnight barn parties to backyard bridal showers, magical Christmas mornings to rollicking honky-tonks. It’s easy to bring a little bit of Reese’s world into your home, no matter where you live. After all, there’s a southern side to every place in the world, right? 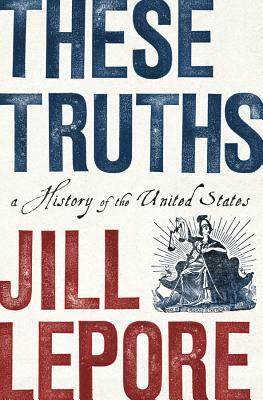 In the most ambitious one-volume American history in decades, award-winning historian and New Yorker writer Jill Lepore offers a magisterial account of the origins and rise of a divided nation—an urgently needed reckoning with the beauty and tragedy of American history. What makes These Truths different from other American history tomes is that Lepore presents history from so many new & different perspectives, including an emphasis on women, African-Americans, gay & lesbian people, blue collar whites, labor unions, and evangelicals. 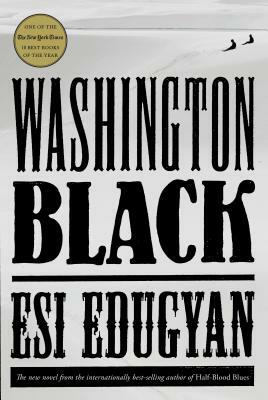 Already nominated for the Man Booker Prize, Esi Edugyan’s Washington Black is a terrific adventure novel, slave narrative, journey of scientific discovery, and man’s search for his place in the world. Washington, a plantation slave during the Age of the Enlightenment, flees for his life and begins an epic quest, traveling to the Arctic, England, and Africa along the way. After the extraordinary success of Cravings, Chrissy Teigen comes back with more of her signature wit and take-no-prisoners flavor bombs. This time the 100 recipes are even simpler and more bang-for-your-buck. After two years of parenthood, falling in love with different flavors, and relearning the healing power of comfort food, this book is like Teigen’s new edible diary: recipes for quick-as-a-snap meals; recipes for lighter, brighter, healthier-ish living; and recipes that, well, are gonna put you to bed, holding your belly. And it will have you hungry for more. In this unforgettable final volume of Ruiz Zafón’s cycle of novels set in the universe of the Cemetery of Forgotten Books, beautiful and enigmatic Alicia Gris, with the help of the Sempere family, uncovers one of the most shocking conspiracies in all Spanish history. In this haunting new novel, Ruiz Zafón proves yet again that he is a masterful storyteller, paying homage to the world of books, to his ingenious creation of the Cemetery of Forgotten, and to that magical bridge between literature and our lives. 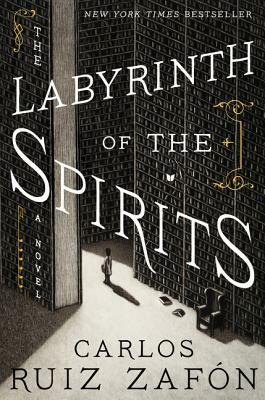 While The Labyrinth of the Spirits comes full circle, returning fans to the seductive world of gothic Barcelona introduced in The Shadow of the Wind—Ruiz Zafón’s most successful novel to date—bringing together all the characters and stories of the three previous novels in a dazzling conclusion, readers do not have to have read the other novels to enjoy this one. Readers will meet all the characters as if for the first time, and follow a spiraling kaleidoscopic narrative that builds with exquisite suspense. Return to the immersive, action-packed world of Warcross in this thrilling sequel from #1 New York Times bestselling author Marie Lu. Emika Chen barely made it out of the Warcross Championships alive. 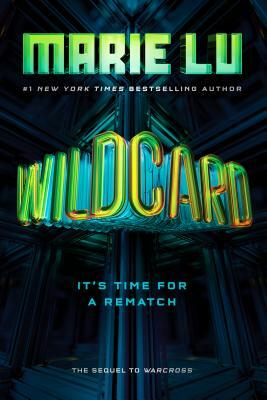 Now that she knows the truth behind Hideo’s new NeuroLink algorithm, she can no longer trust the one person she’s always looked up to, who she once thought was on her side. Caught in a web of betrayal, with the future of free will at risk, just how far will Emika go to take down the man she loves? Grab a copy of this addictive finale that will hold you captive till the very last page. 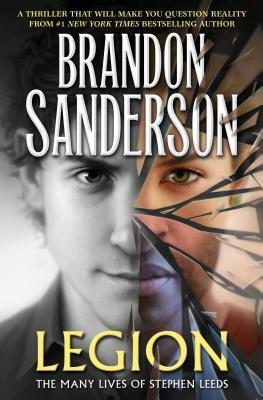 From #1 New York Times bestselling author Brandon Sanderson comes a new novella collection, including a brand new, never-been-published story. Stephen Leeds is perfectly sane. It’s his hallucinations who are mad. A genius of unrivaled aptitude, Stephen can learn any new skill, vocation, or art in a matter of hours. However, to contain all of this, his mind creates hallucinatory people—Stephen calls them aspects—to hold and manifest the information. Wherever he goes, he is joined by a team of imaginary experts to give advice, interpretation, and explanation. He uses them to solve problems . . . for a price. Fans of Sanderson will love this mind-bending adventure! What would you do if a time machine hurled you thousands of years into the past…and then broke? How would you survive? Could you improve on humanity’s original timeline? And how hard would it be to domesticate a giant wombat? 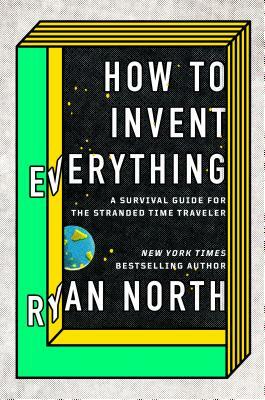 New York Times bestselling author and Eisner Award-winning writer of Adventure Time, Jughead, and The Unbeatable Squirrel Girl for Marvel Comics Ryan North has writen the only book you need if you’re going back in time. North shows you how to invent all the modern conveniences we take for granted—from first principles. Come grab a copy of this fun and exciting guide to surviving—and thriving—in any period in Earth’s history. In this hard-rocking, spine-tingling supernatural thriller, the washed-up guitarist of a ‘90s heavy metal band embarks on an epic road-trip across America and deep into the web of a sinister conspiracy. 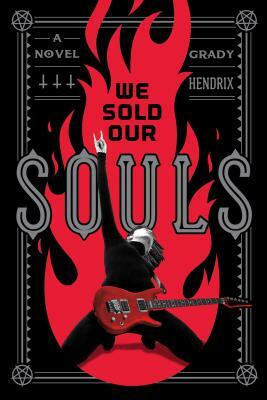 Grady Hendrix, horror writer and author of Paperbacks from Hell and My Best Friend’s Exorcism, is back with his most electrifying novel yet. In the 1990s, heavy metal band Dürt Würk was poised for breakout success—but then lead singer Terry Hunt embarked on a solo career and rocketed to stardom as Koffin, leaving his fellow bandmates to rot in obscurity. Two decades later, former guitarist Kris Pulaski works as the night manager of a Best Western—she’s tired, broke, and unhappy. Everything changes when a shocking act of violence turns her life upside down, and she begins to suspect that Terry sabotaged more than just the band. Sound like your kind of story? Come grab a copy from our shelves today! Previous Post Come work with us!